As a family run business with over 40 years of experience, Dove Hearing have been supplying hearing aids across Derbyshire to thousands of satisfied customers. We stock every kind of hearing aid imaginable from analogue behind the hear versions to completely in the canal invisible hearing aids which are virtually undetectable. We are so confident we can find the right solution for you that we also offer a 30 day money back guarantee on all of our hearing aids. Unlike our national competitors who are usually supplied by two or three brands, we stock hearing aids from all the major manufacturers including Widex, Phonak Lyric, Starkey, Oticon and many more. We can also offer hearing aids at up to 50% less than our national competitors due to our excellent working relationships with our suppliers. With a free test available with one of our many hearing experts using the latest technology you can be assured we will be able to help you. Our team don’t work on commision and you will never be under any obligation or pressure to buy. Our customers are often amazed at the difference our hearing aids make to their lives and often wish they had committed sooner. As hearing loss is usually a gradual problem, it often goes unnoticed and people learn to live with it when their really is no need to. 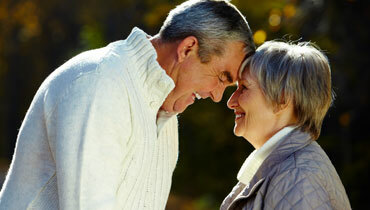 Hearing aids have never been more advanced yet at the same time have never been easier to use. They need a very small amount of maintenance or adjusting and are so comfortable you will probably forget you are wearing one! If you have any further questions about our hearing aids in Derbyshire then please don’t hesitate to get in touch with us today! We are always happy to help with any enquiries you may have whether in person at one of our Derbyshire hearing centres or online. You don’t have to suffer with hearing loss anymore!